Home Articles Get your game on! Dew Gamers Arena is here! Gaming fans all over Pakistan finally have a time to rejoice as there is a huge gaming competition coming up really soon. 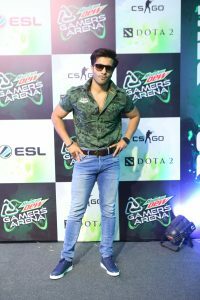 Dew Gamers Arena has been launched as a 3 month long competition and to date the biggest gaming competition in the country, with prize money of 1 million rupees for the best gaming team in Pakistan. Yes you heard that right, 1 million rupees. 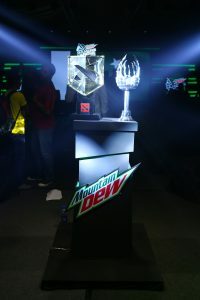 Mountain Dew Pakistan has launched this competition in collaboration with international gaming giants ESL. The competition will have teams from all over Pakistan facing off in the gaming rings of CS:Go and Dota 2. The competition will feature 32 teams from Karachi, Lahore, Islamabad and the rest of Pakistan. Out of these, 4 will battle it out in the finale that will be hosted in Lahore. The best team of Pakistan will be awarded with a 1 million rupee cash prize. This is a huge opportunity for gamers in our country. Gaming is merely reduced to small gaming zones and small competitions that are occasionally held in universities and colleges. 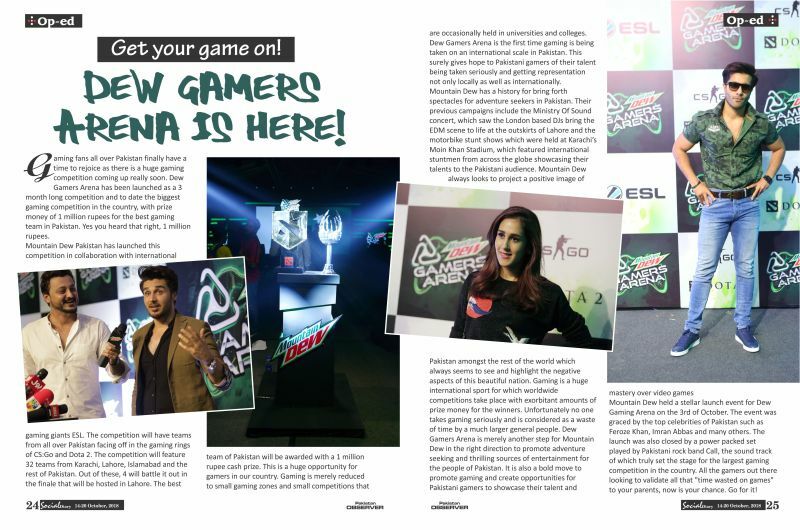 Dew Gamers Arena is the first time gaming is being taken on an international scale in Pakistan. 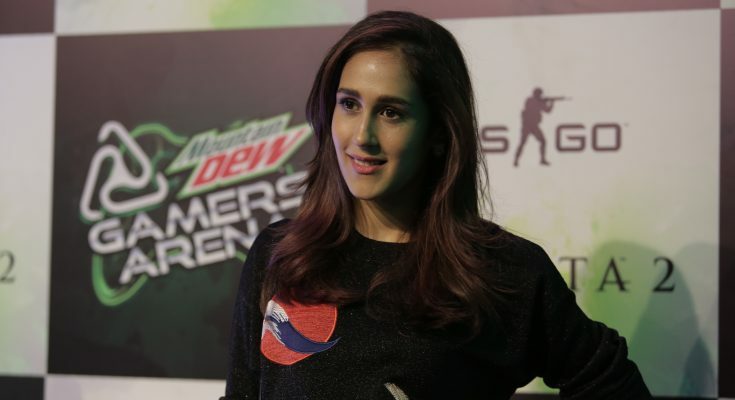 This surely gives hope to Pakistani gamers of their talent being taken seriously and getting representation not only locally as well as internationally. Mountain Dew held a stellar launch event for Dew Gaming Arena on the 3rd of October. 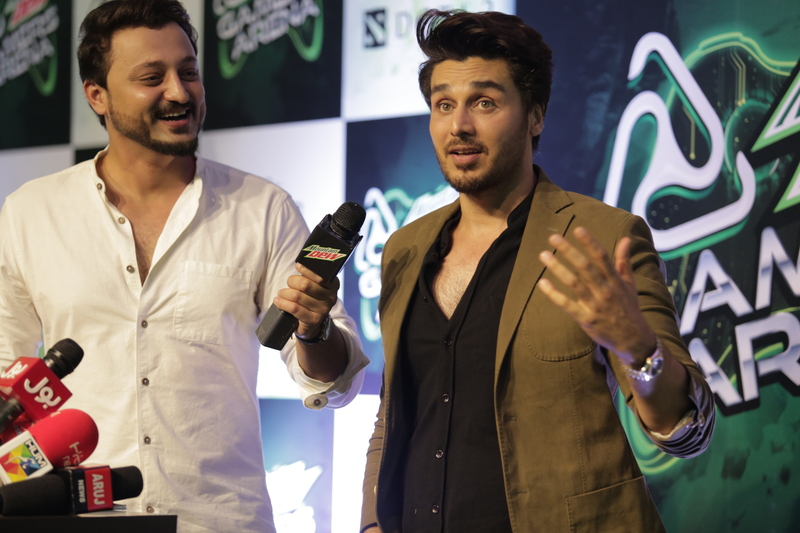 The event was graced by the top celebrities of Pakistan such as Feroze Khan, Imran Abbas and many others. The launch was also closed by a power packed set played by Pakistani rock band Call, the sound track of which truly set the stage for the largest gaming competition in the country. All the gamers out there looking to validate all that “time wasted on games” to your parents, now is your chance. Go for it!